I love technology, so when I heard we were bringing the Myzone fitness tracker to our Downtown location, I was ready to jump in with both feet. Myzone is the cutting edge in wearable fitness trackers, as it monitors heart rate, calories burnt, time spent exercising, and effort with 99.4% accuracy. I got my Myzone belt in January and I’ve become obsessed with using it during my workouts! I even included it as part of my upcoming Love Your Jeans Challenge and TRX Circuits series because I knew it would increase effort and consistency inside and outside of class. Our GM’s, Michele & Marilyn, and Trainers, Tara & Jeremy, at Myzone U, learning more about this innovative tech. It is a great tool, to hold yourself accountable and increase the effectiveness of your workouts. By making sure you’re in the right zone as you exercise, you’ll burn more calories, hit your fitness goals, and see progress. You’ll even be able to look back at your workouts later and determine if they match up with what you were trying to accomplish – and that includes if your goal was just to enjoy it! The Myzone app has some great “pre-made” workouts on the app, including the MZ-fitness test that you can use to track your progress. You can access those whenever you want and compare results over time. 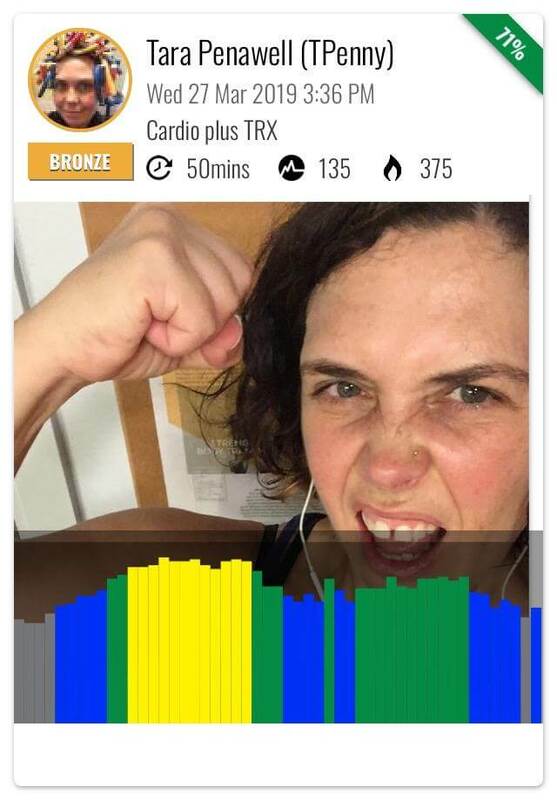 Use the app to share your stats, post photos, and engage with others’ workouts! One of my favorite features is the social connections function. 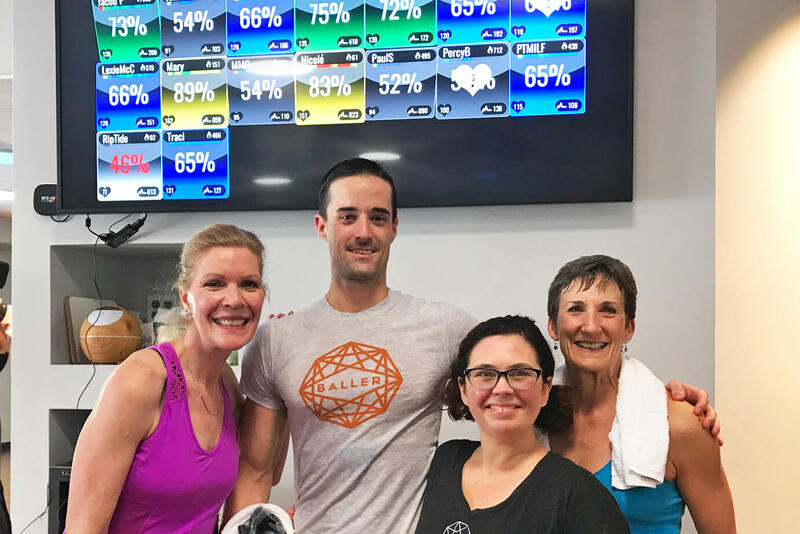 You can plug into our Castle Hill Fitness community by adding connections from the gym. You can rename your workouts, interact with others by sending likes or comments, and add photos if you like. If you had a particularly motivating workout and you want to share it to another social media account, it’s easy to export. Feel free to connect with me, if you like! Participate in challenges created by the gym, your social connections, or yourself. Anyone can create a challenge. Then encourage each other through the social connections function to make goals. Myzone is a blast to use during group exercise! Our Myzones can automatically sync to a monitor, and will showcase all the nearby Myzone users on the display. I could see in real time how much effort I was putting in and how that compared to others. Additionally, I could use that information to adjust my workout. If my heart rate wasn’t in the target zone for a particular exercise, I could either work harder (if my heart rate was too low) or rest longer (if it was too high). Seeing everyone represented on the screen also added to the sense of community and made the group workout more fun. If you’re having fun and maintaining consistency, you’ll get better RESULTS. If you have any more questions about the Myzone, feel free to contact me at tara@castlehillfitness.com! See for yourself the wonders of the Myzone in Tara’s upcoming events – the Love Your Jeans 8-week Challenge and the HIIT TRX Circuits series. The ‘Love Your Jeans Challenge‘ will take you through an 8-week program of fat loss driven workouts, combined with nutrition guidance, support and accountability through emails and a private Facebook group, to get you the results you want to see! Tara’s newest series, HIIT TRX Circuits, will also utilize med balls, jump ropes, and the rip trainer in a high-intensity format to reach your goals faster! Pricing for both of these upcoming series includes a Myzone chest strap at 30% OFF it’s original value! Tara will effectively incorporate the use of the Myzone into these programs to accurately track your effort in real time, and make immediate adjustments as needed. Maximize fun AND efficiency with Tara and the Myzone! Tara has an extensive background in the health and fitness industry, with over sixteen years working as a personal trainer. Due to her education, experience, and dedication to acquiring new skills, she is qualified to serve a wide range of clients, and enjoys the diversity of working with people with different goals and backgrounds. 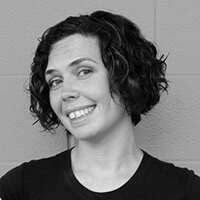 Her personal pursuits are as varied as the clients she works with, including spring distance triathlons, Tae-kwon-do (she’s a red belt), running half marathons, and mastering Indian clubs. Above all, she is passionate about helping her clients meet their goals and find the joy and satisfaction that comes along with their success.